First came the surgical strike on terror launch pads across the borders and now it is time for surgical strike on black money. By demonetising high-value currency notes of 500 and 1,000 as legal tender, Prime Minister Narendra Modi has struck hard at the root of the twin problem of black money and fake currency. When the Prime Minister explained the measure, pointing to the imagery of corrupt officials stashing ill-gotten money in their mattresses and cupboards, he left nothing to imagination. He made it clear that black money is not only fuelling inflation but also aiding terrorism. It seems to be a step towards a cashless economy and just the first step to curb corruption. “This government does not want to bother honest people but doesn’t want to spare the dishonest. Bear with me for 50 days. I am not going to stop at this. I will expose the history of corruption of 70 years since Independence,” Modi said. “This is not an end. I have more projects in mind to make India corruption-free. We will take action against benami property. This is a major step to eradicate corruption and black money. 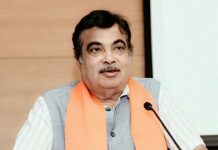 If any money was looted in India and has left Indian shores, it is our duty to find out about it,” he said in his speeches, both at Panaji (Goa) and Belagavi (Karnataka). After the 2014 landslide electoral victory, the Modi government was under tremendous pressure because the major poll plank of the Bharatiya Janata Party during the 2014 elections was to bring black money stashed in safe havens abroad. 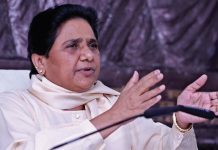 Opposition has been chiding it to put 15 lakh in each individual’s account that it had promised during intensive campaigning in the run-up to the election. However, the BJP had been hitting back saying that Congress that ruled for donkey’s years had failed to act against black money. The sudden decision is to silence the critics and to take wind out of their sails. The aim of the bold move is also electoral reforms because black money in the form of donations often finds its way to political funding. Naturally the decision that has taken political parties unawares, would badly hit these because elections are fought with undeclared reserves of cash donations. That electoral politics is funded by businesses in return for tax concessions and favourable policy decisions is well known. 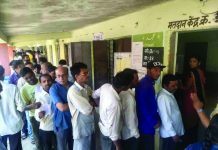 Deprived suddenly of unaccounted poll money, political parties may still willingly back this much-needed electoral reform because of obvious reasons. 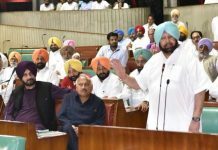 However, the opposition has alleged that this was a well planned structured money laundering that was carried out before banning 500 and 1,000 currency notes. The RBI had come out with a liberalised remittance scheme in 2015 allowing individual Indians to transfer upto $250,000 (close to 2 crore) in their overseas accounts in a financial year. Earlier, the LRS limit was just $75,000. The RBI first increased LRS slab to $125,000 on June 3, 2014 and again it was increased to $250,000 on 26 May 2015. Following this, Indians have sent a record amount overseas under a facility that allows them to send money abroad either as a gift or maintenance of relatives, even investments abroad or purchase of property without any questions asked. Outward overseas remittances under the facility are called liberalised remittances scheme (LRS) which allow residents to remit overseas $250,000 a year. It touched a record $ 4.6 billion up from $ 1.6 billion a year ago. An analysis of monthly trend in such remittances shows that there was a sudden spurt in remittances from June 2015 onwards from a little over $100 million a month to more than $400 million a month. gone up by 7,000 crore in one day”. Already many political parties have shown unhappiness with the decision. While Congress Vice-President, Rahul Gandhi has said that real black money is stashed abroad, West Bengal Chief Minister Mamata Banerjee has described it as “draconian move”. 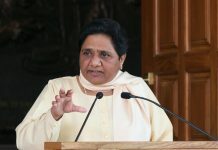 Bahujan Samaj Party supremo and former chief minister of Uttar Pradesh said that the Modi government has created an Emergency-like situation while former chief minister Mulayam Singh Yadav wanted government to at least allow a week’s time to implement the decision so that the poor did not suffer. Delhi Chief Minister and Aam Aadmi Party Chief, Arvind Kejriwal criticised the move ,alleging that friends of BJP had been informed of the move at least a week in advance. The enormity of the black money could be understood from the World Bank estimate that India’s shadow economy is close to 23.2 percent of Gross Domestic Product. The rating agency CRISIL has projected India’s unaccounted money to the tune of whopping $479 billion. In fact ,in just couple of days after the demonetizstion, the State Bank of India collected around 38,677 crore in deposits. The total deposit collection by all the commercial banks would have crossed 1 lakh crore mark in the first two days. “This won’t curb black money. The BJP and its friends were informed about the demonetisation of high value currency a week before the move was put in place”. There was added pressure on the government after the release of documents earlier this year naming companies and individuals who had set up offshore shell companies and accounts through brokers based in Panama. This all had been revealed in ‘Panama Papers’. Also, the last amnesty scheme the government launched this year had not yielded much and was a partial success. The government could earn less than 30,000 crore at the closure of Income Disclosure Scheme (IDS). Only an amount of 65,250 crore worth black money was disclosed by 64,275 declarations (average 1 crore each filing) in the form of cash and other assets during the four-month window that ended in September. The government was working on shock therapy and the surprise move was well-planned and kept a closely guarded secret. The introduction of new 500 and 2,000 notes, the government argues, would not only check counterfeit currency, a problem that has assumed serious dimensions, but also purge India’s economy of the black wealth amassed in the form of high-value notes. The agencies would monitor cash deposits above 2.5 lakh and has threatened to levy 200 percent penalty on tax evaders. Any decision like this needs to be sudden, and it is not surprising that it has caused hardship as people line up in long queues to get notes of smaller denomination for daily expenditure. There will be multiple effects on the economy —how they all add up will be clear in the months to come. The use of plastic money and paperless transactions may pick up further. Industry body Confederation of Indian Industry has fully supported the government move. Reacting to the move, it said that demonetising high denomination notes is likely to have far-reaching impacts , striking a blow at the heart of the illegal economy. While it is not possible to have a firm estimate of unaccounted wealth, it is widely estimated at around a fifth of India’s GDP or around $450 billion. While some of this may be stored in cash, some may be in assets such as real estate and jewellery. This negatively affects the business environment, especially for those who comply with the law of the land and follow ethical practices, Confederation of Indian Industry has observed. “After a short period of some pain when the economy adjusts to the sudden withdrawal of cash, CII expects a much stronger economy. India’s cash-dependence is extremely high with a currency-GDP ratio of around 12 percent compared to 4-5 percent in other developing countries. High level of cash usage tends to slow down the flow of money through the economy. Spending will rise, leading to additional economic growth. This is an economic masterstroke by the Prime Minister and must be allowed time to play out,” said Chandrajit Banerjee, Director General, CII. The prevalence of cash use has also made India prone to high inflation. Corruption and excessive cash use tends to erode the purchasing power of money. Lower cash use will have a dampening impact on inflation and this will be a further positive for India’s macro-fundamentals. “The Reserve Bank will now have more room to cut interest rates as inflation subsides. Already, the bond market has reacted to the news with a reduction in the bond yields,” Banerjee observed. “The PM could not get back the promised black money from abroad from the rich so a drama to divert his failure. A financial chaos and disaster let loose on common people. The CII further elaborated, that this move will be positive for banks whose deposit mobilisation will be strengthened. The old currency notes will be deposited with banks and more households will find it imperative to open bank accounts and make use of card payments. Currency in the form of 1,000 and 500 notes amounted to 14.2 lakh crore as of March 2016, or about 85 percent of total currency in circulation. If this is converted to current and savings deposits, there will be an increase in banks’ liquidity. This is also a great opportunity to transition to a “plastic economy”. CII has stated that in all likelihood, a fair proportion of the 14 lakh crore in high-denomination currency will not return to the banking system, for fear of accounts being scrutinised. If one assumes that about 20 per cent of the cash does not return to the system, this would amount to about 3 lakh crore or $42 billion. This is a reduction in the RBI’s liability to the public, allowing it to print a similar amount of fresh money or transfer the gain to the government. “The biggest gain from this move will be greater formalisation of the economy. Currently, the costs of informality are evident in low tax base which impacts government revenues, lack of economic control through monetary instruments, and lower economies of scale. India’s tax base is low and its tax-to-GDP ratio needs to increase from the current level of 16.6 percent, which is much lower than about 21 percent in other emerging economies. Less than 30 million Indians filed personal income tax with more than half of these paying no tax”. People are rushing to banks to deposit large sums. They should now be prepared to receive income tax notices. While depositing the unaccounted cash into his bank account or exchanging everyone will have to submit his PAN and Aadhar Card etc to the banking officials. This would make the likelihood of his case being detected by the Income Tax Department very high. Any amount above 2.5 lakh deposited and found not in consonance with the declared income would get notices from the income tax department asking for the source of this amount. Notice could be issued under Section 142(1) asking depositor to furnish the Income Tax Return within a specified time frame. This notice will ask for information relating to three years immediately preceding the financial year for which assessment is to be made. Generally this notice would come with a notice under section 144, 148 or 153A. If the depositor does not comply with the directions, conditions specified in the notice, then he might have to face best judgement assessment under Section 144. This means that the Income Tax office will assess your income and impose tax and penalty as per its own judgement. Also, in this case there would not be any further opportunity. Apart from other penalties, one might end up in prison for up to one year. 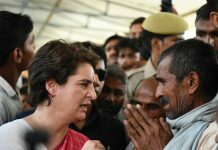 However, the hardliners say that demonetisation of 500 and 1,000 banknotes is unlikely to help the government extract black money from the system as hoarders keep a tiny portion of their ill-gotten wealth in hard cash. Cash recovery has been less than 6% of the undisclosed income seized from tax evaders according to tax officials. In income-tax raids from 1 April to 31 October this financial year, black money holders accepted having stashed 7,700 crore worth of ill-gotten assets. The cash component was merely 408 crore or 5 percent. The remaining was invested in business, stocks, real estate and benami bank accounts. Public inconvenience in the form of long queues at banks and post offices is there for everyone to see and feel. However, it should be tolerated in national interest. Fake currency, terror and drug trade go hand in hand and are the enemy’s known tools to cause damage to the country. Within the country, black money has inflated home prices to levels beyond the reach of ordinary people. Now demand may cool and prices fall. Ostentatious consumption will also take a hit. While there will be pain and confusion in the short term for common people and the economy, a disruptive measure was perhaps the only way to shake up the system to a new compliance normal. But the Centre must ensure that no poor person is saddled with old, useless notes due to the lack of official identity documents or a bank account, and avoid putting to disadvantage older citizens unable to visit a bank repeatedly to exchange high-value notes. It should find ways to check black money parked in ‘benami’ properties. There must also be administrative and electoral reforms to advance digital payments and eliminate the prospect of the new currency regime spawning the ghost economy afresh. With new 500 and 2,000 notes in circulation, black money may return with time, unless the problem of generation is dealt with. All said and done, this is a historic move because Modi has become the second Prime Minister after Morari Desai to take the bold, high-risk step, which is expected to hit the BJP’s core constituency of businessmen and traders. The loss may be more than offset by new admirers Modi will get. denominations of Bank Notes of the existing series issued by Reserve Bank of India (hereinafter referred to as Specified Bank Notes) shall cease to be legal tender with effect from 9th November, 2016, to the extent specified in the Notification. A new series of Bank Notes called Mahatma Gandhi (New) Series having different size and design, highlighting the cultural heritage and scientific achievements of the country, will be issued. Bank branches will be the primary agencies through which the members of public and other entities will be exchanging the Specified Bank Notes for Bank Notes in other valid denominations or depositing the Specified Bank Notes for crediting to their accounts, upto and including the December 30, 2016. Therefore, banks have to accord highest priority to this work. In order to enable the members of public and other entities to exchange their existing 500/- and 1,000/- notes, the following arrangements have to be made by the banks. Machines, any other cash dispensing/receiving machine, CIT Companies and Business Correspondents attached to the branch will have to be called back forthwith. The sponsor banks of White Label ATMs will be responsible for recalling the Specified Bank Notes from the White Label ATMs sponsored by them. 100/- and 50/- denominations prior to reactivation of the machines on 11th November, 2016; however banks should await separate instructions from Reserve Bank of India on issuing Mahatma Gandhi (New) series Notes through ATMs and cash dispensing machines though they can be issued over the counters from Nov 9, 2016.
vi) Every banking company defined under the Banking Regulation Act, 1949 and every Treasury shall complete and forward a return in the format showing the details of the Specified Bank Notes held by it at the close of business as on 8th November 2016, not later than 13:00 hrs on November 10, 2016 to the concerned Regional Office of Reserve Bank of India under whose jurisdiction the Head office of the bank is located. The return should also include details of Specified Bank Notes recalled from ATMs, Cash Deposit Machines, Cash Recyclers, Coin Vending Machines, CIT Companies, Business Correspondents, etc. (iii) there shall not be any limit on the quantity or value of the specified bank notes to be credited to the account maintained with the bank by a person, where the specified bank notes are tendered; however, where compliance with extant Know Your Customer (KYC) norms is not complete in an account, the maximum value of specified bank notes as may be deposited shall be 50,000. (x) Business Correspondents (BCs) may also be allowed to exchange Specified Bank Notes upto 4000/- per person as in the case of bank branches, against valid identity proof and requisition slip. For this purpose banks may, at their discretion, enhance the cash holding limits of BCs at least till December 30, 2016. Each bank branch exchanging Bank Notes in the denominations of 500/- and 1,000/- shall report at the close of business on each day starting from 10 November 10 till the closure of the scheme on December 30 (or till any other date thereafter as may be advised by RBI) by email or Fax to their Controlling Office a statement showing the details of Specified Bank Notes exchanged by it and the respective Controlling Offices will aggregate these and report to the Department of Currency Management, RBI, Central Office on a daily basis. 5. Banks may issue detailed instructions to their branches advising them to strictly adhere to the norms of the scheme and procedures laid down above. The staff at the branch level, particularly the tellers, should be adequately sensitized. 6. Banks should make copies of information material and distribute these to the public. to RBI Central Office, Mumbai through email. 9. RBI has opened a Control Room at its Central Office for monitoring the progress and providing guidance to banks and members of public. 8 November 2016. In the announcement, Modi declared circulation of al 500 and 1,000 rupee banknotes of the Mahatma Gandhi series as invalid and announced the issuance of 500 and 2,000 rupee banknotes in the new Mahatma Gandhi series in exchange for the old banknotes. The demonetisation was done in an effort to stop the counterfeiting of the current banknotes alleged to be used for funding terrorism and for cracking down on black money in the country. Following the announcement by the Prime Minister, the RBI Governor issued a press release with details on the procedure for exchanging/depositing the 500 and 1,000 rupee notes that are currently in circulation and the procedure for demonetisation. Previously, similar measures were taken. In January 1946, currency notes of 1,000 and 10,000 rupees were withdrawn and new notes of 1,000, 5000 and 10,000 rupees were reintroduced in 1954. The Janata Party coalition government had again demonetised notes of 1,000, 5000 and 10,000 rupees on 16 January 1978 as a means to curb forgery and black money. unaccounted cash which will be deposited in the bank accounts. We are going through an outburst of messages and posts on social media and print media which range from the scary to the alarmist on the topic of demonetization of the 500 and 1,000 notes. There are some things the media just doesn’t understand. In fact, here social media warriors must also take the blame for spreading grossly exaggerated news. Most particularly about the media posts and reports wherein they are spreading the rumours of imposition of 200 percent penalty by the Income Tax Department on the cash deposited in banks by the assessee. It has been rumoured and spread vigorously that the 200 percent penalty shall be imposed on the cash deposits in the bank accounts, thus you need to pay more than your income! This kind of unwarranted interpretations has led to sheer panic among the Indian masses. It is very pertinent to mention here is that the intent of this demonetisation scheme is to clear up the menace of black money from the economy which in turn will be used for the development of nation and Indian masses. noble cause for cleaning our own country and taking it towards glory. Let’s us examine the taxability of the unaccounted cash deposits in bank accounts.Brevity may be the soul of wit, but unfortunately, not of The Income Tax Act, 1961. It is very pertinent to mention here is that The Revenue Secretary has said (rather, tweeted) four very important statements, which are to be analyzed both logically and legally keeping in view the relevant sections of the Income Tax Act’1961. The first statement is as follows. 3 lakhs, and if you’re a super senior citizen over the age of 80, 5 Lakhs.Next, he talks about ‘getting reports’. The fact is that the government and Revenue Department had been keeping track of high value cash deposits for a few years now. If you have seen your tax credit statement, the 26 AS, there is a section called “Annual Information Return”, where banks are mandatorily required to furnish information about high value transactions that are linked with your PAN. So keeping track of your cash deposits (especially high value deposits) is not something novel that the government is going to do now that the demonetisation has been announced. But what about the tweets where he talks about income tax action and 200 percent penalty? Let us go through the new penalty regime (inserted by the Finance Act’2016) to have a crystal clarity on the issue of imposition of penalty particularly in case of cash deposits of the demonetized currency in the bank accounts over and above the cash available in the books of accounts as on 08-11-2016. The levy of penalty for concealment or furnishing of inaccurate particulars of income under the erstwhile provisions of Section 271(1)(c) of Income-tax Act 1961 has always been a matter of litigation between the revenue authorities and the taxpayers. The scope of such provisions was always been a subject matter of litigation since tax authorities always levied the penalty whenever there was an addition or disallowance made by the assessing officer, may be because of pressure of higher authorities, even in cases where there was no prima facie case against the taxpayer. With a view to reduce the litigation and remove the discretion of tax authority, the Finance Act, 2016, w.e.f 01-04-2017 has inserted new provisions in the form of new Sections 270A and 270AA in the Act which replaced the existing provisions of section 271(1)(c). Imposition of penalty under sections 270A and 270AA will apply to cases pertaining to A.Yrs. 2017-18 onwards and provisions of section 271(1)(c) will continue to be applicable to all cases up to A.Yrs. 2016-17.
income under the erstwhile provisions of section 271 (now applicable for A.Y. 2016-17 and earlier assessment years). “Penalty for under-reporting and misreporting of income. under the provisions contained in section 1 15JB or section 1 15JC and under general provisions, such amount shall not be reduced from total income assessed while determining the amount under item D.
under-reported income shall be the difference between the loss claimed and the income or loss, as the case may be, assessed or reassessed. deposit or investment, the year immediately preceding the first preceding year and so on. income. Therefore, if unaccounted cash is deposited into bank and applicable tax (maximum 30 percent plus surcharge/Cess) is paid on this additional income, no penalty for under reporting or misreporting can be imposed by assessing officer u/s 270A of Income tax Act. This is because penalty for concealment can be levied only on difference between assessed income and returned income. So in my considered opinion, as rumoured, penalty of 200 percent under no circumstances can be levied on such income disclosed in return of current year with due payment of taxes on the same. If, however, the case is such that you have intentionally suppressed facts, deposited the unaccounted cash and didn’t declare the same in your return of income u/s 139 of the act, than surely it is a fit case for imposition on penalty u/s 270A of the act. If an assessee deposits 1 crore, unaccounted cash, in its bank account, show it in its income tax return for the FY 2016-17, and pay tax on its income as per applicable slab tax rate, there can’t be any imposition of penalty, because it is not misreported or underreported income. The tax authorities will see that the assessee have declared it and paid tax on it, thus making the deposit a legitimate credit. If, on the other hand, the assessee deposits this 1 crore in its bank account, omit it from its declaration of income (and therefore not pay any tax on it), it will be considered misreported income, and it shall be a fit case for imposition of penalty u/s 270A of the act. To conclude, the demonetization of INR 500 and INR 1,000 currency notes is a positive, historic and game-changing move for the Indian economy and also a good lesson to those who are playing with Indian taxation policy so far. It’s now or never!!!! Come clean not only by words but also by action and be a catalyst in this noble cause of cleaning our own country and taking it towards glory.